Can art be managed? Fifteen cultural managers from all over the world accepted invitations from the Goethe-Institut and the Cultural Department of the City of Munich to come to Bavaria’s capital to debate, initiate projects and network. Aghan Odero from Nairobi was one of them. Munich certainly did not show off its best side. It rarely does in November, so it was not surprising when Aghan Odero observed, “It’s cold here,” then specified, “It’s very cold here.” It is all the more reassuring that the Kenyan will nonetheless remember his two-week stay in Munich very fondly. Odero is one of the participants in the International Forum on Cultural Management and Cultural Policy now organized for the second time by the Goethe-Institut and the Cultural Department of the City of Munich. What do cultural managers from Manila, Kiev and New York have in common? What issues, what projects engage them? Do their differences lie chiefly in the very different circumstances under which they work or do they go deeper than that? Consequently, where can they identify a basis for international collaboration? For two weeks, these are the kinds of questions that 15 cultural managers from around the world grappled with in Munich. During the forum, the participants were not only able to discuss these subjects, but also gain insights into diverse Munich cultural institutions and enlarge their international network. The agenda included visits to Munich cultural institutions like the Pathos Theater and the organizers of the Dok.fest documentary film festival as well as a lecture by Matthias Lilienthal, the artistic director of the Münchner Kammerspiele. 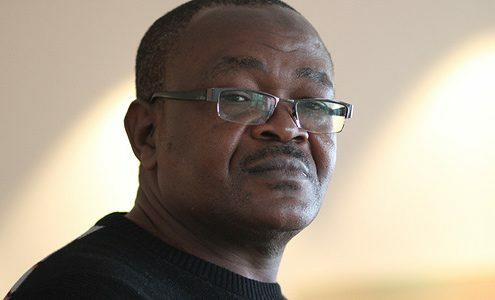 Aghan Odero is a popular storyteller and theatre maker from Kenya. A few years ago, he founded the independent cultural centre Zamaleo ACT and is also its director. Once every year, the organization holds an international storytelling festival. Until recently, Odero was additionally the director of the Kenya Cultural Centre, which operates the renowned Kenya National Theatre. We sat down with him at the end of the cultural managers forum to ask about his experiences. Mr Odero, culture and management – aren’t they mutually exclusive fields? You could certainly think so, but no, they are not. After all, culture is an important human resource with which we must deal very deliberately. That is why management is absolutely essential for culture functioning in our lives. Ultimately, it is the same as other consumer products: we have to identify the needs of the customers, observe the market and see how we can reach the customers. What are the special challenges that cultural managers face in Africa? The biggest challenge is to create awareness that culture is something we must invest in. This is still a struggle. Many people in Africa still think that culture is a given; that it is simply there and we do not have to do anything for it. They do not see the need to invest in culture, indeed to buy culture. We also still have a great deal of persuading to do with public authorities. Culture is something essential for our society – just as much, for instance, as medical care or public transport. This is why it is extremely important to establish an infrastructure. This includes the necessary educational programmes that all cultural actors can access. But also art galleries, concert halls, theatres ... Such structures are underdeveloped in Africa. So, as a cultural manager, you can’t concentrate entirely on your own institution, but have to fight with colleagues from other institutions for the infrastructure that you all profit from? Precisely. You have to constantly do everything at once – and be careful not to lose your focus on your own organization. This takes a lot of time and you run the risk of spreading yourself too thin. But alliances are very important. That’s why I’m here. How did you find out abut the cultural managers forum in Munich? I do a lot of online research on the subject. And that is how I fortunately stumbled upon this announcement. It was exactly two days before the deadline. I noticed that this forum examines precisely those subjects that I am so concerned with. I literally sent off my application at the last minute. And I got lucky: I was accepted. And now you are sitting here freezing. I am happy to take on minor challenges like the wet, cold German weather in November. It will not spoil my mood. In addition, I was advised by the staff at the Goethe-Institut Nairobi about what to expect here. No, seriously, I have been looking forward to this forum since I got the acceptance. This has been one of the greatest strokes of luck in my life. What do you particularly like about the programme? Of course, it’s wonderful to meet these colleagues from 14 other countries and share experiences with them; to learn that someone who lives at the other end of the world is grappling with the same problems as I do. For me, the personal coaching was definitely a highlight of the program. Each of us could discuss our very concrete individual problems. I had a great and very experienced tutor. Our conversations helped me a great deal. She enabled me to take a fresh look at my own work and gave me important food for thought. Is your experience at this forum reflected in concrete projects? Absolutely. Each of us has a personal project. For me, it’s further developing the international storytelling festival that I organize once a year. I want to put the whole thing on a stronger foundation. This includes the development of closer international partnerships alongside the attempt to reach a larger audience at home. The main question is how can we reach people outside the capital city of Nairobi? I imagine that we might complement the festival with two or three satellites in the rest of the country where events will also be held. I think this is very important because the people in the countryside already feel neglected and storytelling is a format that could be of great interest there. How can you organize it all and bring it together? We now jointly developed ideas for this in the group. And when I go back home, I'll try to implement them. Cultural manager Odero: “I was able to take a fresh look at my own work” | Photo: Dominik Baur You have now all at once expanded your network by 14 colleagues in 14 countries. Do you expect immediate professional benefits? By all means. It cannot end with these two weeks. One of our aims is to establish a permanent platform where we can exchange and support each other, for example, through a Facebook group. We need to find ways to keep this network going. Because if I already know someone in London or in Kiev and I want to work with someone there, this means I already have a bridge there. Then maybe my colleagues there will give me a contact recommendation, or they’ll tell me how to proceed most practically; what I have to consider. After all, they know each other best locally.